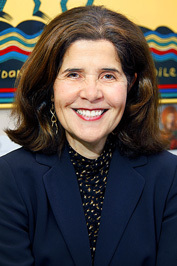 Isabel Alvarez Borland is a professor of Spanish and has been a member of the Holy Cross faculty since 1981. Isabel completed ombudsperson training with the International Ombudsman Association in the fall of 2013 and will continue serving as a faculty ombudsperson through the 2017–2018 academic year. Email: ialvarez@holycross.edu. Please note that email is not a confidential mode of communication. Ombudsperson Office: An appropriate site for a confidential discussion is arranged with each faculty visitor. 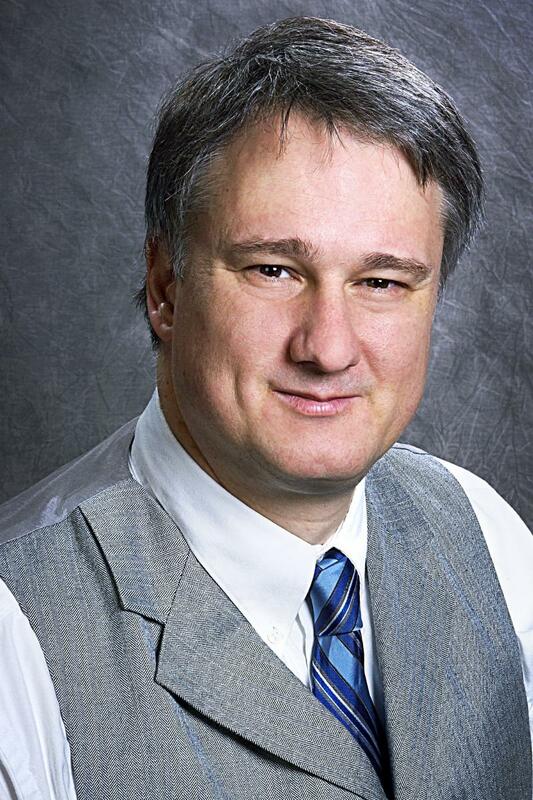 Mathew N. Schmalz is associate professor of Religious Studies and has been a member of the faculty since 1998. He specializes in South Asian religions and Catholicism in a global context. Mat completed ombudsperson training with the International Ombudsman Association in the summer of 2016 and will serve as faculty ombudsperson through the 2017–2018 academic year. Email: mschmalz@holycross.edu Please note that email is not a confidential mode of communication. The Ombudsperson provides a confidential channel to discuss issues of concern without fear of retribution. The Ombudsperson does not offer advice but rather seeks to help individuals determine how to best address their concerns. The Ombudsperson has no authority to alter the College’s policies or procedures or the outcomes of proceedings under these policies and procedures. The informal nature of the Office means that a conversation with the Ombudsperson does not constitute legal notice to the institution regarding the faculty member’s concerns. Specifically, the Ombudsperson Office is not an office of notice. If an individual wishes to provide official notice to the College of the existence of a problem, this must be done through the appropriate office of the College. The Ombudsperson can provide assistance in determining which office to contact. The Office of the Ombudsperson lies outside of the normal administrative structures of the College. It operates independently. The Office does not serve as an advocate for, or representative of, any person and cannot participate in any adjudicative procedures. The Ombudsperson seeks to be impartial in all matters and seeks fair and equitably administered processes. To protect the confidentiality of interactions with faculty members, the annual report of the Office of the Ombudsperson provides no identifying information and will be made in accordance with the standards of the International Ombudsman Association. The primary purpose of the annual report is to indicate the types of issues that are leading members of the faculty to contact the Office of the Ombudsperson. It is the responsibility of the Ombudsperson to raise awareness of these issues and to recommend the review of policies or issues affecting the faculty where appropriate. The Ombudsperson does not oversee the implementation of any College policies and will not participate directly in the review of College policies. Communications with the Office of the Ombudsperson are considered confidential, and the Office will take all reasonable steps to safeguard the confidentiality of all communications. The Office of the Ombudsperson will not reveal the name of any faculty member visiting the office or reveal information that could lead to the identification of that faculty member. The Ombudsperson will only pursue actions related to the concerns of the faculty member if expressly asked to do so by the faculty member. As a matter of policy, the College of the Holy Cross will not contact the Office of the Ombudsperson to request disclosure of information related to confidential conversations. Respecting the role of the Office as an informal resource for faculty, the College will not compel the Office of the Ombudsperson to disclose information as a part of any investigation or adjudicative process. In the same way, faculty members who use the Office will be considered to have agreed to abide by these principles and will not seek to compel the Ombudsperson to testify in regards to any confidential communications. The College is committed to upholding the confidentiality of all communications with the Office. The Office of the Ombudsperson will not maintain any official records containing identifying information. Any notes that the Ombudsperson creates are unofficial, temporary, and subject to destruction. The only exception to the pledge of confidentiality with respect to communications with the Office of the Ombudsperson is if there is an imminent risk of serious physical harm to someone and there is no reasonable alternative to contacting the appropriate authorities to prevent this harm. The determination of the risk of harm is made by the Ombudsperson. The term “ombudsman” is of Swedish origin and literally means “representative.” The role of the Holy Cross ombudsperson is to facilitate the resolution of concerns that members of the faculty may have. The ombudsperson is available to listen and help to clarify faculty concerns and then to assist faculty members in identifying potential options to resolve these concerns. Who can utilize the services of the ombudsperson? The College of the Holy Cross Faculty Ombudsperson Office is available to assist any member of the faculty. The Office is not available to staff, students, or administrators who are not members of the faculty. Members of these groups should contact either Human Resources or Student Affairs to seek assistance. What types of issues can be brought to the ombudsperson? Faculty can bring any concerns related to Holy Cross to the ombudsperson. Examples of issues that ombudspersons frequently address at other colleges and universities include: uncertainty related to College policies and procedures, workplace conditions, harassment, unfair treatment, interpersonal problems with colleagues or administrators, personal problems affecting work, and issues related to promotion or tenure. How do I contact the Ombudsperson? Faculty members should contact the ombudsperson via phone (see phone numbers listed for each ombudsperson) to make an appointment to meet. You may choose to make an appointment via e-mail. However, e-mail is not a confidential form of communication, and the individual should be careful not to include any specific information regarding their concerns in the body of the e-mail. Once an appointment has been made, the ombudsperson will arrange to meet the client confidentially in an appropriate site.